A member of the notorious “Texas 7” gang of escaped prisoners has been executed for the fatal shooting of a suburban Dallas police officer during a Christmas Eve robbery nearly 18 years ago. Joseph Garcia was one of the notorious “Texas 7” gang of inmates who broke out of a South Texas prison in December 2000 and committed numerous robberies, including one on Christmas Eve when 29-year-old Irving police Officer Aubrey Hawkins was fatally shot. Garcia’s attorneys had five appeals before the Supreme Court that were rejected Tuesday evening, shortly before the 47-year-old Garcia was scheduled for lethal injection. Attorneys for a death row inmate who is scheduled to die say he should be spared because he wasn’t the one who killed a suburban Dallas police officer during a Christmas Eve robbery 18 years ago. 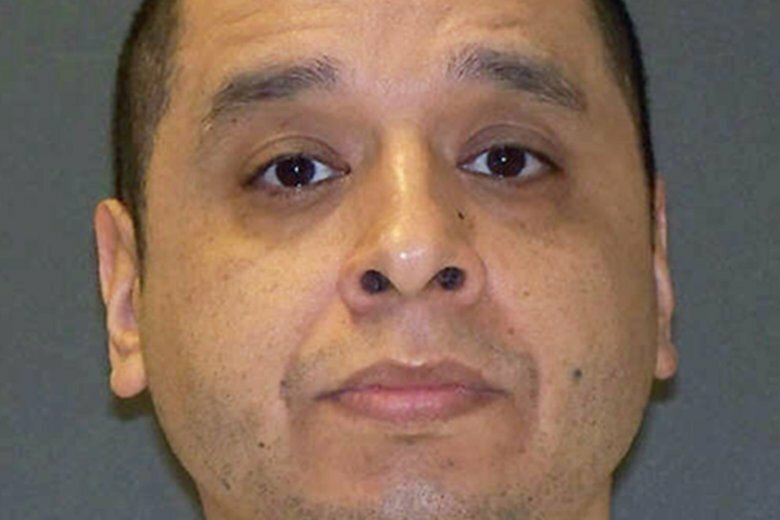 Joseph Garcia’s lawyers say the 47-year-old convicted murderer shouldn’t be executed Tuesday night because it was others in the notorious “Texas 7” gang of escaped prisoners who shot and killed Irving police Officer Aubrey Hawkins in 2000. The group was captured the following month in Colorado. If Garcia’s appeal to the U.S. Supreme Court fails and he is executed, he’d be the 22nd person put to death in the U.S. this year. Garcia was convicted under Texas’ law of parties, in which a person can be held responsible for another individual’s crime if he or she assisted or attempted to help in the commission of that crime.